The jury is forever going back and forth on whether or not coffee is good for you, but in case you're still looking for an excuse to drink an extra cup, science is here to help. In a new study published in Nature Medicine, a group of researchers at Stanford University School of Medicine recently discovered that caffeine might help our bodies fight inflammation and, therefore, multiple diseases as we get older. Based on an analysis of blood samples from around 100 people of varying ages, the researchers discovered that the older participants in the study with lower levels of inflammation all reported drinking coffee on a regular basis—and not just a sip here and there, but an admirable 5+ cups a day. 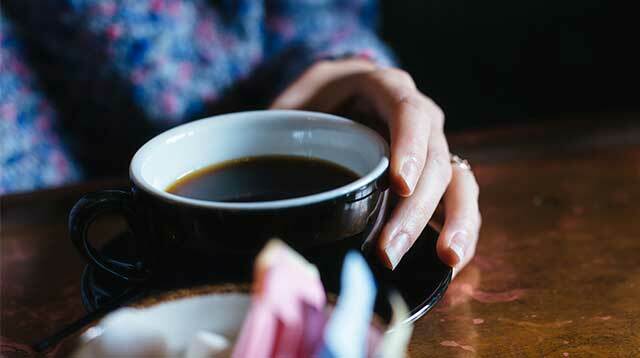 This led researchers to dig deep into how caffeine might reduce the risk of chronic diseases. "Most of the diseases of aging are not really diseases of aging, per se, but rather diseases of inflammation," the study's lead author, David Furman, told Time. "The more caffeine people consumed, the more protected they were against a chronic state of inflammation. There was no boundary, apparently." As Refinery29 explains, the researchers found that caffeine helps inhibit the molecule adenosine, thus blocking the pathway for inflammation. The researchers are quick to note that some inflammation is essential and is a natural, important part of the immune system—but caffeine might be a way to manage and regulate it. "That something many people drink—and actually like to drink — might have a direct benefit came as a surprise to us," another senior author of the study Mark Davis said in a press release. "What we’ve shown is a correlation between caffeine consumption and longevity. And we’ve shown more rigorously, in laboratory tests, a very plausible mechanism for why this might be so." A few of the study's authors are currently working on a follow-up study which will analyze blood samples from 1,000 people—but in the meantime, you might as well drink up, y'all. It might just help you live longer.